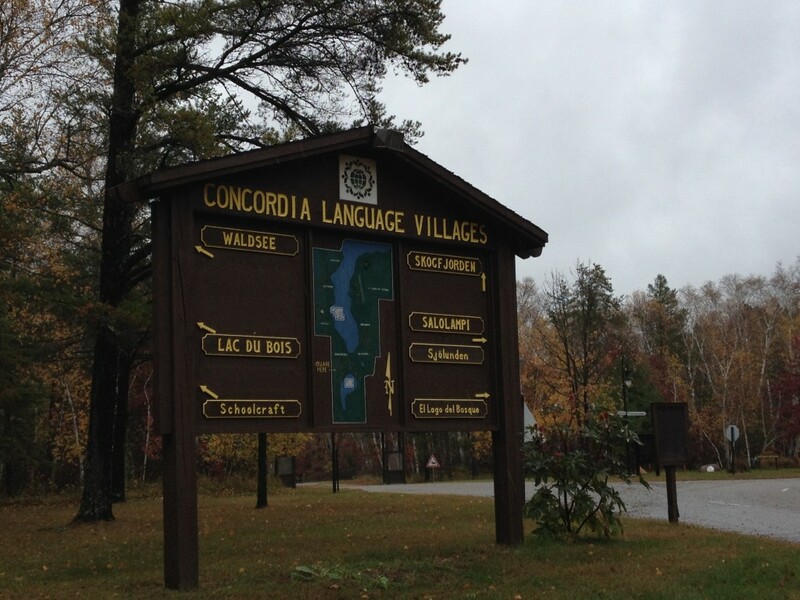 This week at HighwayHighlights.com, we take a tour around the world – right here in Minnesota, at the Concordia Language Villages outside of Bemidji. 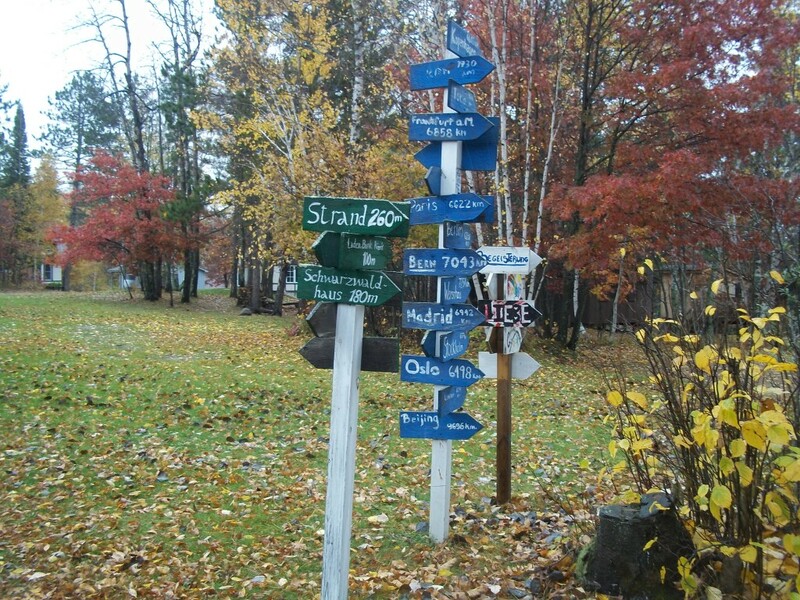 This intriguing place, a summer-camp village consisting of 6 different “countries,” is located northeast of Bemidji in a classic Minnesota northwoods setting, deep in a beautiful forested lakes area. 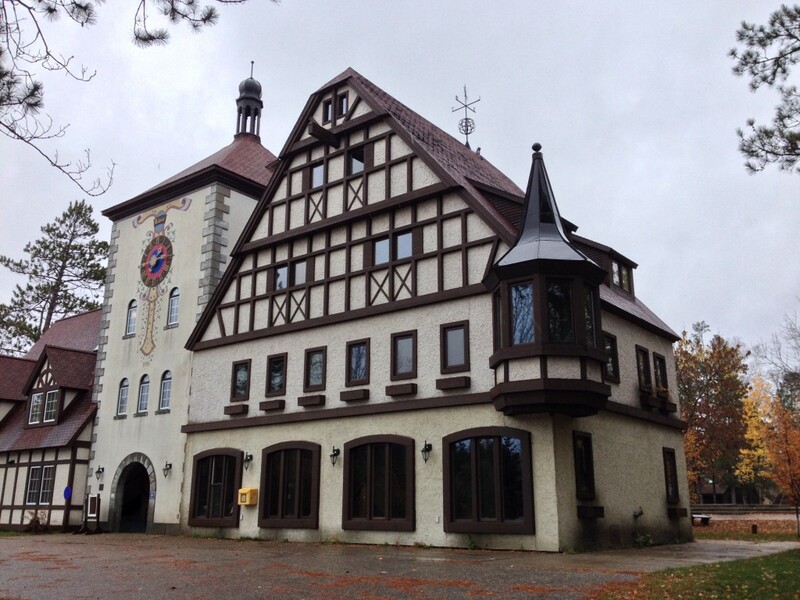 The Concordia Language Villages is a world-language and cultural education program that aims to prepare young people for responsible citizenship in the global community. 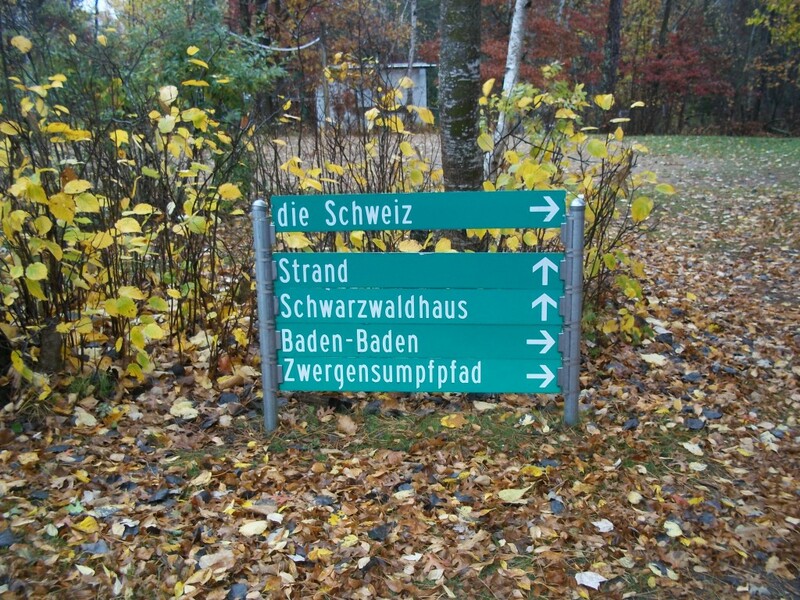 As you enter the camp down a forested, winding road, you reach the sign pictured below which gives the direction of your desired “country.” You will not see any further signs in English from here on out. Each of the country’s village is located separate from the others to give an isolated, secluded experience. This is an immersion program, requiring sharp minds and motivated, intelligent kids. People travel from upwards of 30+ countries to attend, and there is usually a waiting list. 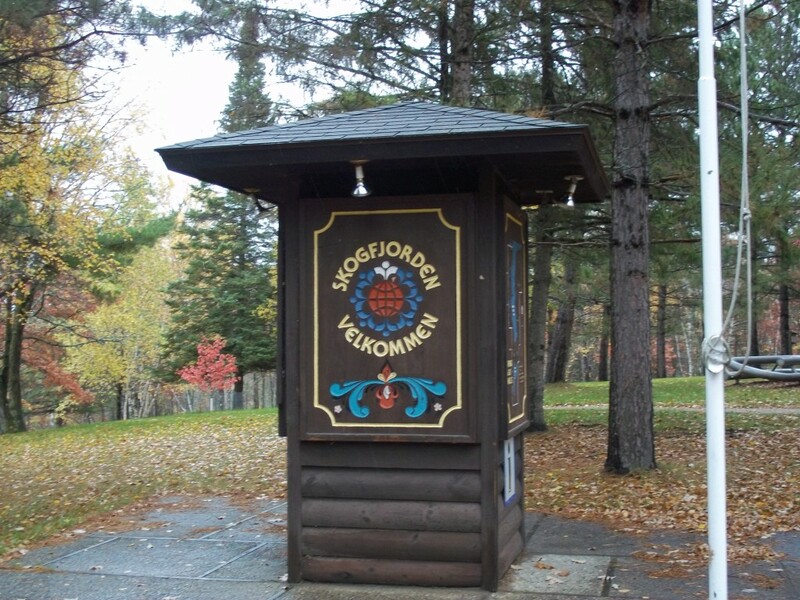 The next village we drove through was Skogfjorden, the Norwegian village. 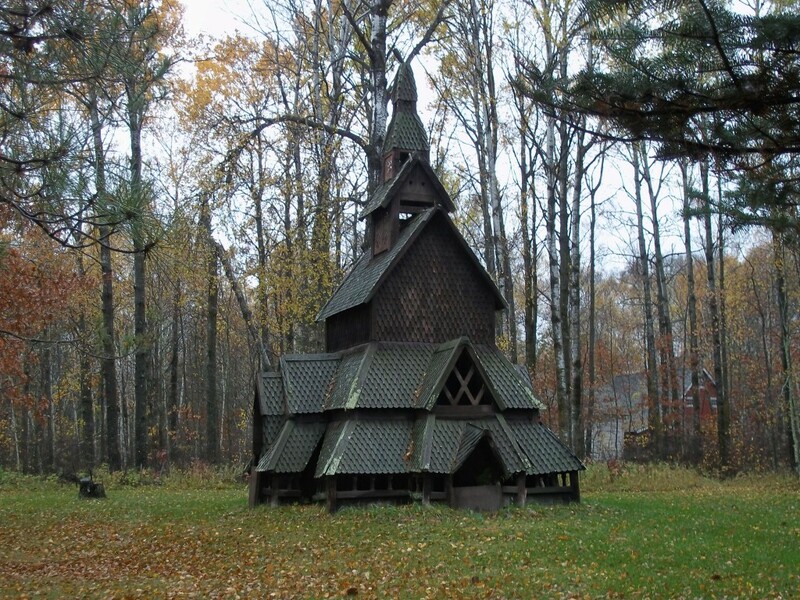 This features a miniature stavkirk church, Nordic-style log houses, and countless other structures and signs. 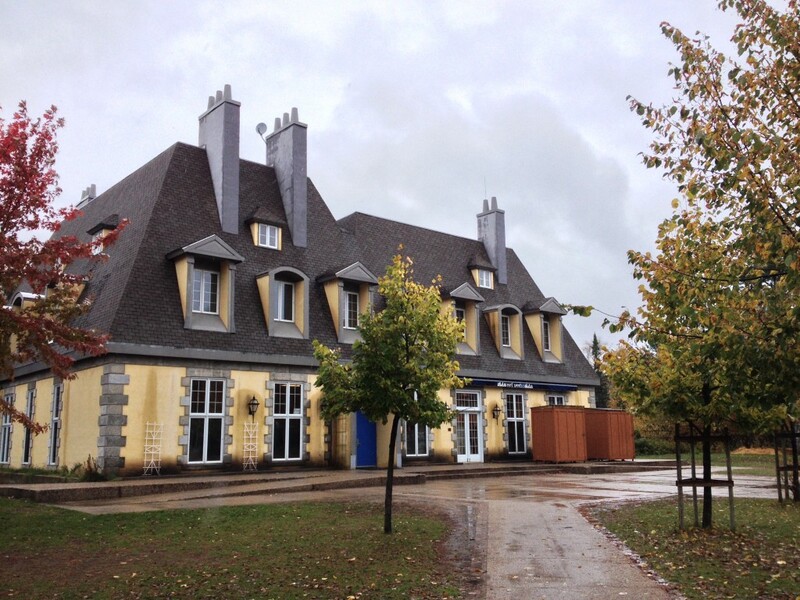 Then there’s the Lac du Bois village, which is the French language camp. 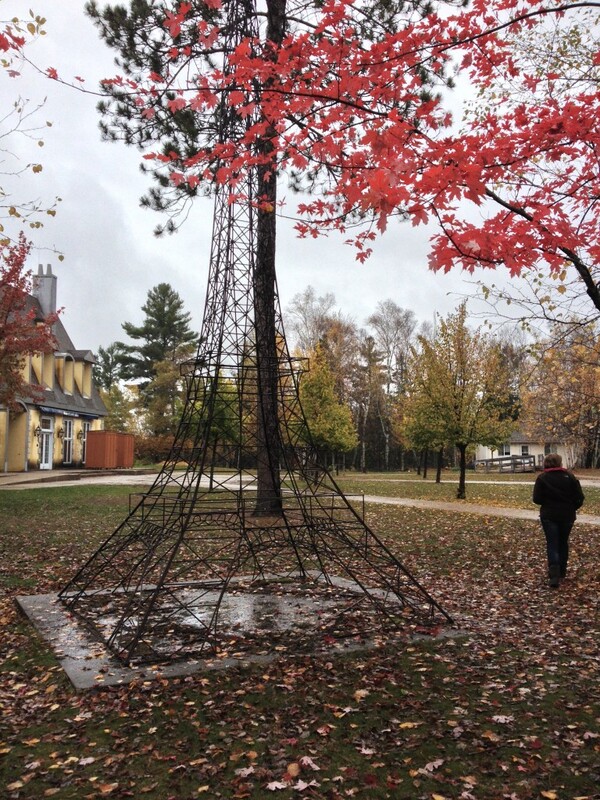 The main building, known simply as “Paris,” is modeled after the French-Renaissance style of architecture commonly seen in Paris, and nearby is a to-scale replica of the Eiffel Tower. 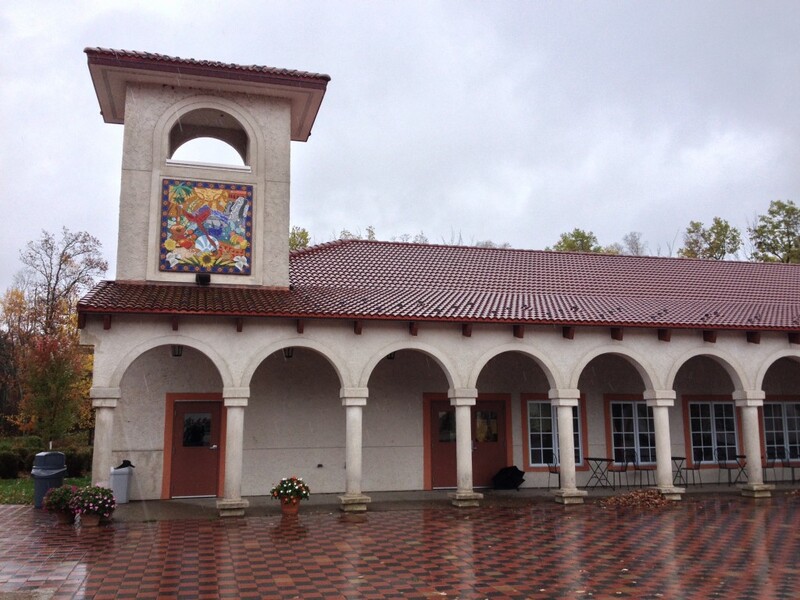 And the Spanish village, called El Lago del Bosque, of course features Spanish villa architecture with red clay tile roofs, arched doorways, and stucco walls, as one would imagine. 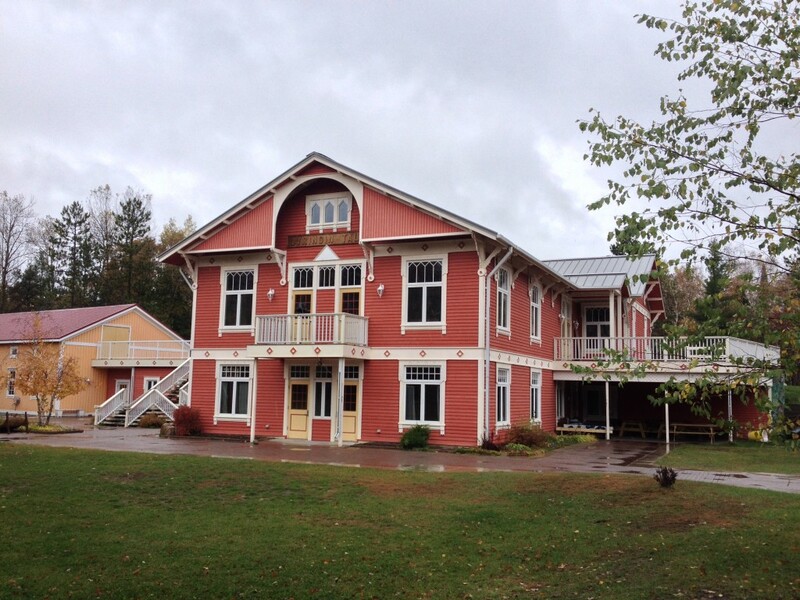 The Swedish and Finnish Language villages Sjölunden and Salolampi are adjacent in order to complement each other, both feature Scandinavian architecture, like the below central building of Sjölunden, noted for its bright colors and gabled roofs. The villages also come together for “International Day,” once a summer, where each country demonstrates learned aspects and songs of their summer home country. 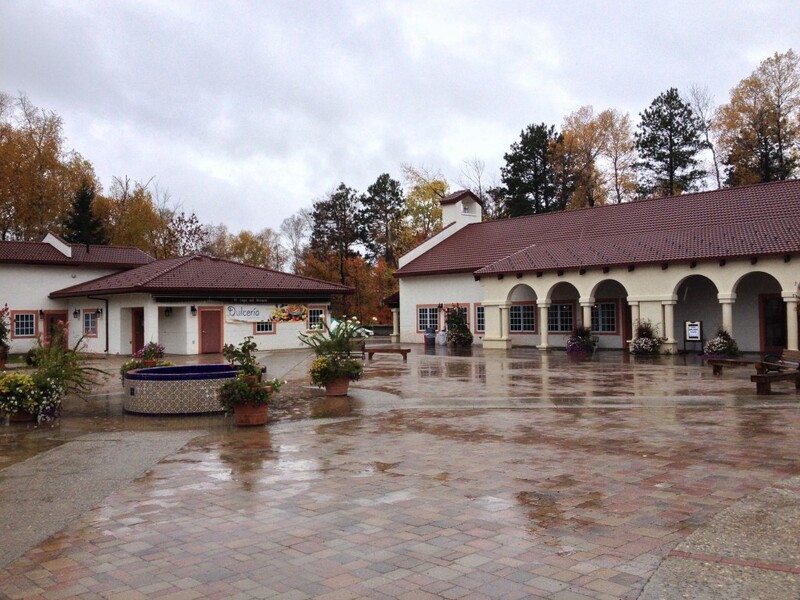 The place is absolutely huge, and it was somewhat difficult to navigate since absolutely zero signs are in English. During the academic year, Lac du Bois is utilized by the Schoolcraft Learning Community, Bemidji’s first Charter School as well. This is a world-renowned place, and visiting dignitaries form the foreign homelands pay a visit to each village respectively. 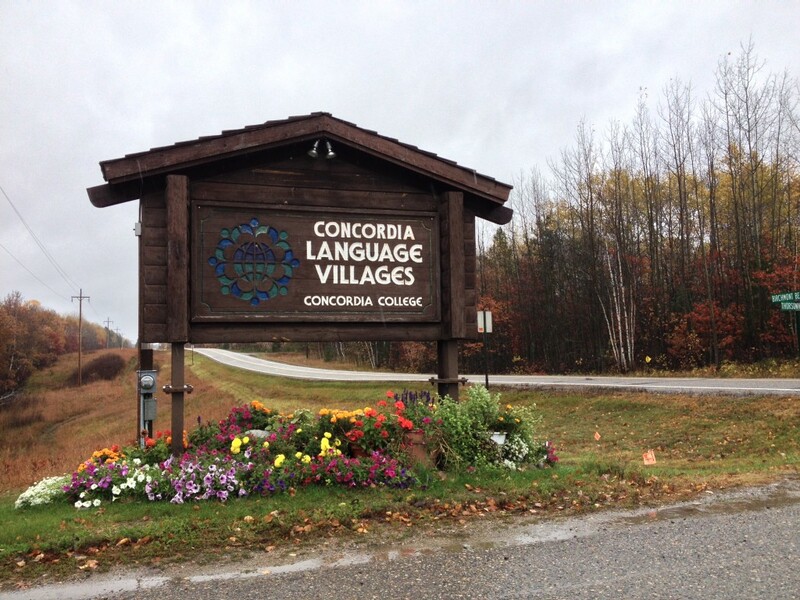 The Concordia Language Village is a remarkable place, not only for its mission and programs, but also for the detail to the physical and communal aspects of each foreign country. This would have been fun to attend as a youngster, although my summer camp experiences at a Presbyterian camp near Brainerd was probably much less work. Either way, there is no doubt this is an enriching, amazing experience helping educate the attendants become more worldly. 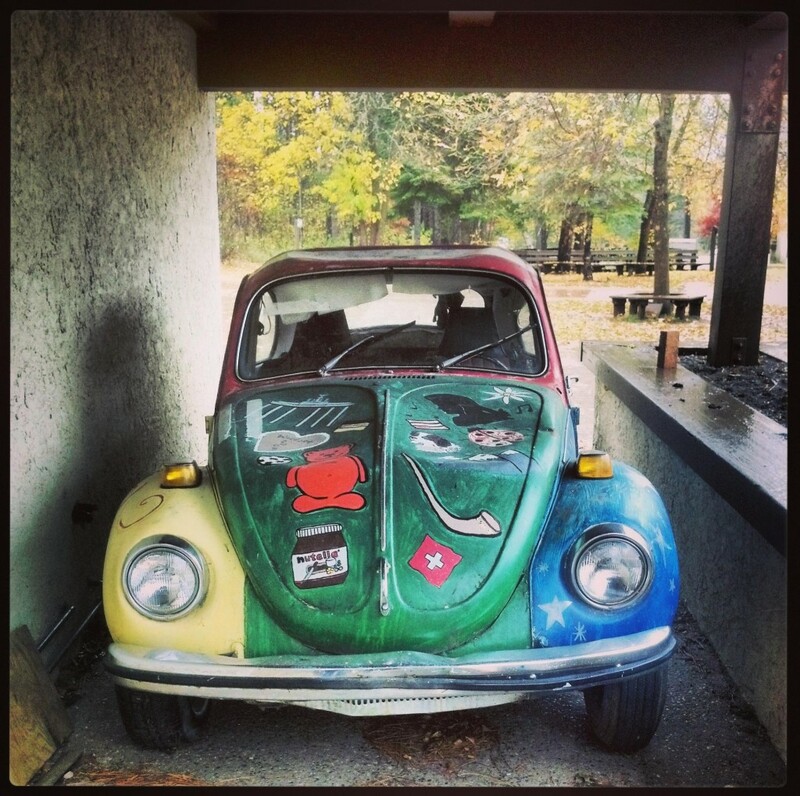 While in the area: Bemidji is home to the classic roadside attraction Paul Bunyan & Babe the Blue Ox, and the downtown features a very cool sculpture walk. 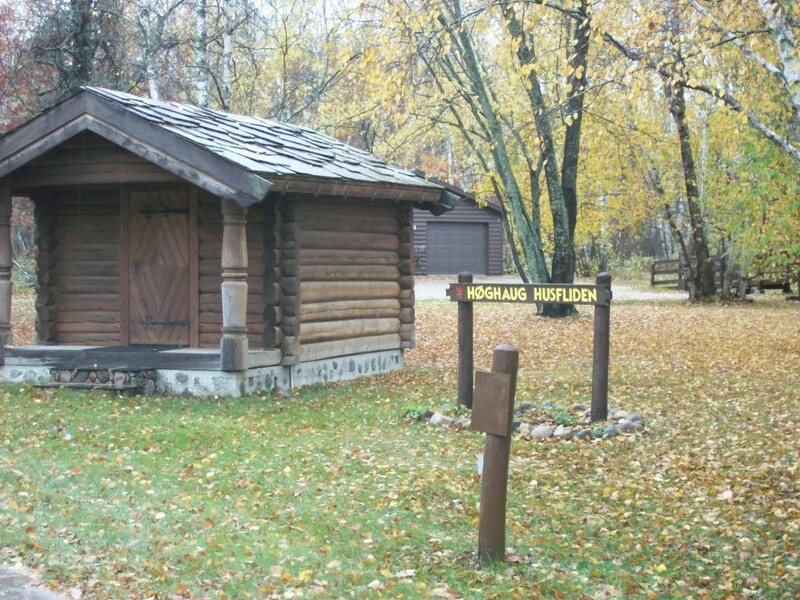 Nearby Lake Bemidji State Park is also a nice getaway to explore nature. 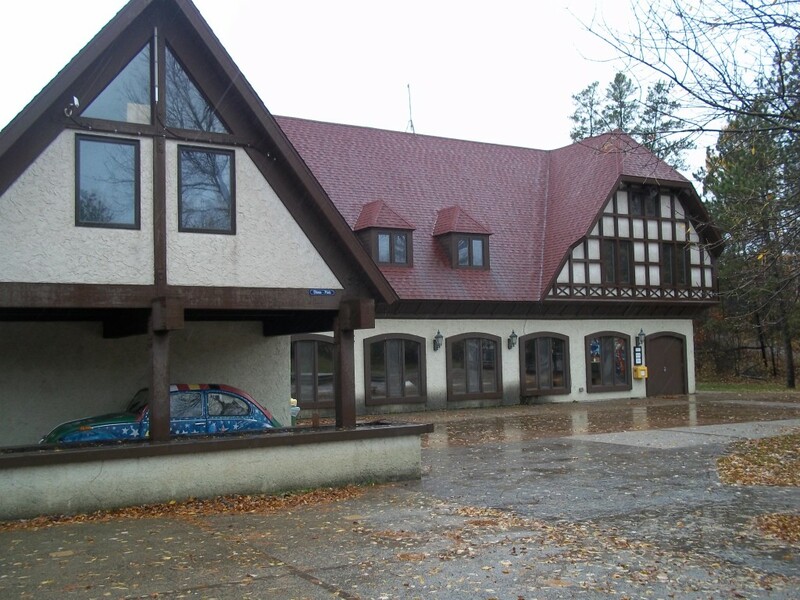 This entry was posted in Highway Highlights and tagged architecture, Bemidji, Concordia Language Village, MN by Seth5544. Bookmark the permalink.